Rohit Baluja has a PhD in Civil Engineering from the University of Birmingham. Rohit is now a visiting Lecturer at the School of Civil Engineering, University of Birmingham & Visiting faculty at the College & School of Military Police, Bangalore and the SVP National Police Academy, Hyderabad. 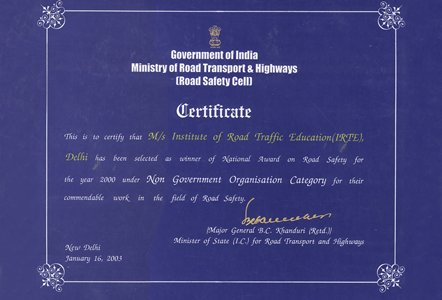 Rohit established the Institute of Road Traffic Education (IRTE) as a not for profit organisation in New Delhi 1991, which has led to the establishment of the College of Traffic Management in the NCR Delhi which is the only single umbrella facility for research and training in all the areas of traffic management. 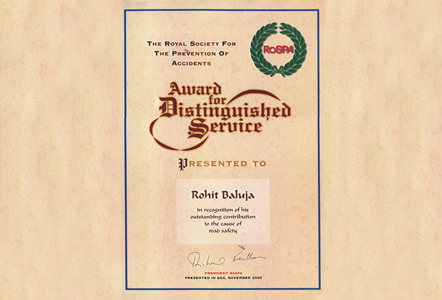 Rohit is a Member at the United Nations Road Safety Collaboration. 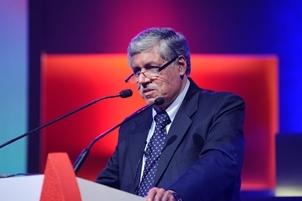 As President IRTE, he is Observer at the United Nations Global Forum for Road Traffic Safety (Working Party 1). The IRTE has been granted the Roster Consultative Status by the United Nations Economic and Social Council. 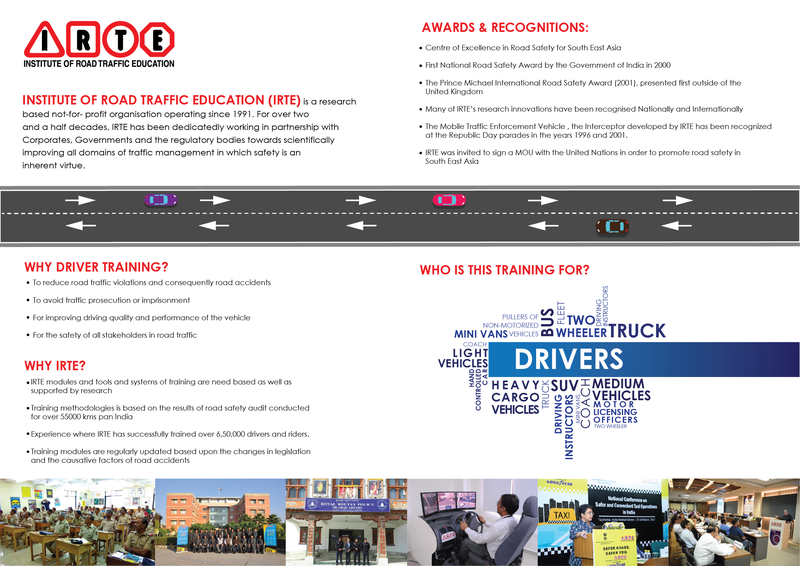 Why College of Traffic Management? 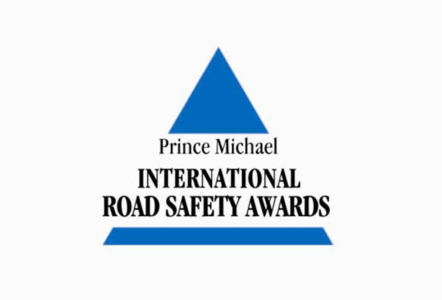 Recognised as the Centre for Excellence in Road safety for the South East Asian Region. The Institute has developed the technology "Interceptor" for which it has been recognised at the Republic Day Parade. 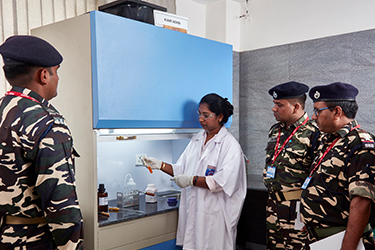 Forensic Science, an amalgamation of almost all faculties of knowledge, is an essential and efficient enabler in the dispensation of justice in criminal, civil, regulatory and social contexts. As of today few Government and Private Universities have initiated this program under its aegis. 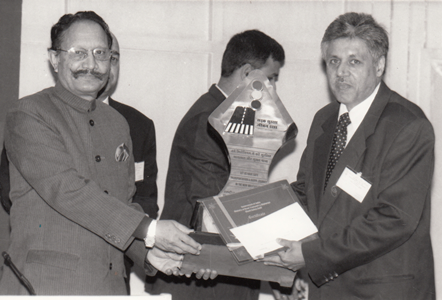 The need however remains for quality education, training and research in Forensic Science. With this view, the College of Traffic Management has initiated this Master's Program with a view to impart quality Forensic Education that will cater to not only crash investigation but also to crime at large and over a period evolve as an integrated entity encompassing scientific, technological and legal services.Our curriculum lay emphasis on a practical approach in all the domains of Forensic Science and is affiliated to Maharshi Dayanand University (MDU), Rohtak, Haryana.